Step by step user guide & Answers to mostly asked questions on our hot products. Learn how to rip DVDs, convert videos, and transfer media files of iPhone iPad on computer. User Guide of WinX DVD Ripper Platinum How to use WinX DVD Ripper Platinum to rip and backup DVD to AVI, WMV, MP4, iPhone, iPad, PSP? User Guide of WinX DVD Ripper for Mac How to use this DVD ripper for Mac to rip and convert DVD to MP4, MOV, FLV, AVI, iPhone, iPod, iPad? User Guide of WinX DVD to iPhone Ripper How to use WinX DVD to iPhone Ripper to transfer Blu-ray DVD to iPhone, iPad, iPod, Apple TV? User Guide of WinX DVD Copy Pro How to use WinX DVD Copy Pro to copy DVD to DVD disc, clone DVD to ISO image file/MPEG2? Why is Hardware Acceleration Important in DVD Ripping Why hardware acceleration is needed in DVD to MP4/AVI ripping? 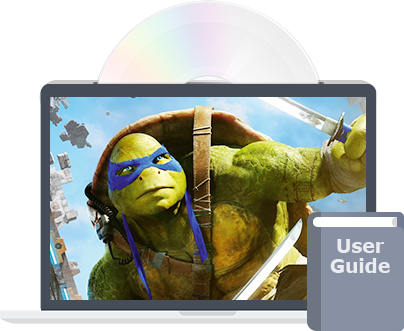 How GPU hardware accelerator works in DVD encoding, decoding and video processing? NEW! User Guide of VideoProc - the Complete Video Processing Toolbox How to edit, cut, trim, merge, transcode, compress, rescale and adjust (4K) videos, music and DVDs with full hardware acceleration? User Guide of WinX HD Video Converter Deluxe How to convert YouTube video, AVCHD, M2TS, MOD, MKV to AVI, MP4, WMV, iPhone, iPad, PSP, Xbox? User Guide of WinX HD Video Converter for Mac How to convert between MKV, M2TS, AVI, MP4, MOV and convert video to iPhone, iPad, iPod on Mac? User Guide of WinX YouTube Downloader How to free download videos, music, playlist, live video from YouTube, Facebook & 600+ sites? 4K Video Processing | How to Fast Compress and Convert 4K How to encode, decode and process 4K GoPro, DJI drone, monitor and YouTube UHD videos; compress and resize 4K 2160p videos at the fastest speed? How to Convert MKV to MP4? How to convert MKV to MP4 with HD MKV to MPEG-4/H.264 converter on Windows 10, 8, 7 and others. Only 3 simple steps are required? User Guide of WinX MediaTrans This tutorial will guide you how to transfer photos, videos, music and any other files between iOS devices and Windows (10) PC without iTunes. How to Transfer Photos from iPhone to Windows 10/8/7 PC We sort out best ways of transferring iPhone photos to PC Windows 10/8/7 without iTunes. How to Transfer 4K/HD Videos Movies from iPhone to Computer Learn how to transfer iPhone 7/6S/6 4K/HD videos movies to Windows 10/8/7 PC to free up iPhone space and watch videos on bigger screen. How to Sync Music from Computer to iPhone Here is the best way to sync music from computer to iPhone 7/6S/6S Plus/6/6 Plus/5S, iPhone SE, etc. without erasing iPhone existing songs. How to Backup iPhone to Computer or iTunes Most Safely The instruction shows you how to backup photos, music, videos, contacts and messages safely from iPhone to or without iTunes iCloud.